Last month (Aug 2017) a study called “Evaluation on quality consistency of Ganoderma lucidum dietary supplements collected in the United States” was published. Nineteen Reishi (Ganoderma lucidum) dietary supplements were purchased, in February or March 2015, directly from general e-commerce sites such as Amazon and eBay in the United States. One -authenticated- Reishi fruiting body was used as a control. The outcome was unexpected – ah well, let’s just say it, it was shocking! All products were tested for triterpenes, polysaccharides and beta-glucan, and on top of that for authenticity (is it really Reishi?). Only 8 of the 19 products contained triterpenes that were actually Reishi triterpenes or something at least quite close to that. Starch-like polysaccharides (alpha-glucans) are used a lot as excipients / flow agents or fillers in dietary supplements. They are also used to ‘spike’ mushroom supplements that use ‘polysaccharides’ as a potency marker. ‘Polysaccharides’ are not reliable as a quality marker – most polysaccharides are not bioactive and the percentages can be manipulated easily. Starch is also present in large quantities if the a mushroom supplement is not produced from fruiting bodies but from mycelium grown on grains/rice (= substrate) – the undigested substrate is starch. It has no therapeutic potential. Normally speaking a Reishi fruiting body is starch-free after having been extracted. However, it is no longer a secret that the majority of US-produced mushroom products are not based on fruiting bodies but on biomass (the combination of mycelium and the substrate it grows in). The outcome of this study seems to confirm that once again: only 6 of the 19 products were starch-free. Beta-glucans are the other main bioactive ingredients in Reishi. The paper found only 5 of the 19 products contained beta-glucans. When tested for authenticity, the same 5 products tested as being authentic. A final test was determining the molecular weight of the beta-glucan fractions and to use this as a quality marker. Previous papers have shown that these high molecular weight beta-glucans are the most bioactive fractions and are suitable to be used as a quality marker. Again, only 5 out of 19 products contained this marker compound. This study shows the quality consistency of Reishi dietary supplements collected in the USA was extremely poor. 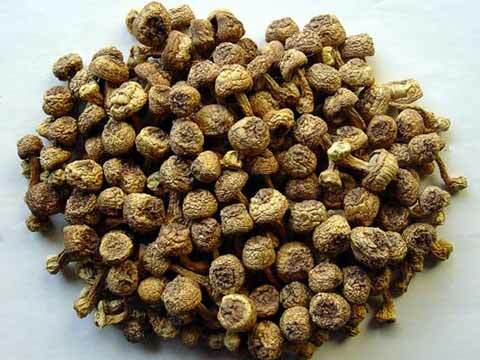 Products derived from Ophiocordyceps sinensis from Tibet were found to contain up to 10 times the national limit of arsenic, officials say. Ophiocordyceps sinensis, or the caterpillar fungus, is one of the most sought-after and expensive ingredients in traditional Chinese medicine. It has been deemed a danger to human health by China’s main food and drug regulator, mainland media report. A recent examination by the State Food and Drug Administration showed that products derived from the fungus, such as powders and tablets, contain excessive arsenic, Chinanews.com reports. The national standard limit for the toxic chemical is 1 milligram per kilogram, but the level found in the supplements ranged from 4.4-9.9 mg pr kg, so up to 10 times higher. Consuming the products over a long period will increase the risk of the element, a common poison, accumulating in the body, the State Authority said. Cordyceps are the fruiting bodies formed after the fungus parasitises the larvae of ghost moths found in mountainous regions of Tibet and Nepal. They make expensive gifts, often given to old people, and are believed to strengthen a person’s immune system and restrain the development of cancer cells. Mushroom Extracts: Oral or Sublingual ? On the internet sellers of liquid mushroom extracts and tinctures usually recommend to take the product sublingual (under the tongue) instead of just swallowing it. If you have to believe them this is the best way to benefit from their product, and the main reason to choose a liquid mushroom product in the first place (why a liquid mushroom extract is actually not recommended at all you can read here). Despite their convincing-sounding arguments they are wrong. Although for many drugs and supplements sublingual administration is indeed better, a mushroom product has unique properties that should be taken into account. This is science, not just an opinion. First of all, the main bioactive compounds in mushroom extracts are beta-glucans. When taken orally, intestinal absorptive cells (enterocytes) facilitate the transportation of beta-glucans and similar compounds across the intestinal cell wall into the lymph, where they begin to interact with macrophages to activate the immune function. Sublingual (under the tongue) or topic administration of beta-glucans is not effective because of the large size of bioactive beta-glucans. These are huge macro-molecules. Compare it to trying to fit a foot size 9 in a shoe size 8 – it can’t be done. You would have to keep the glucan-containing liquid under your tongue for hours in order to get something in your system. Which is impractical, not to say undoable. Second, beta-glucans and most other bioactive mushroom compounds found in properly extracted mushrooms are not affected by the stomach acid, and if you take them on an empty stomach (at least 30 minutes before meals) the therapeutic effects are just perfect. There is nothing to gain by sublingual administration. When surfing the internet for background on the Agaricus blazei Murrill (ABM) mushroom, one is confronted with fantastic stories, about isolated Brazilian rainforest Indians in the early 1960s, free from diseases and with unusual long lifespans, and a Japanese researcher named Takatoshi Furumoto who, intrigued by the unusually healthy Indians started an investigation. He discovers that the source of their good health must be in their diet, in particular a mushroom they eat often, a mushroom never seen before in the world. 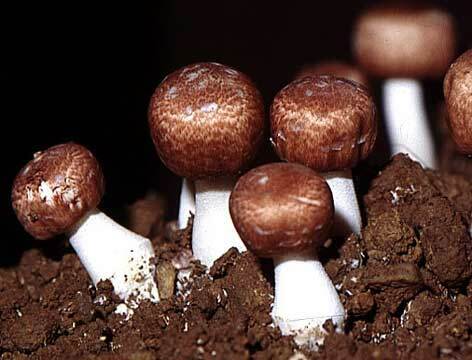 This story is most likely made up by Japanese marketeers to create some background for the healing powers of this mushroom, a sister of the very common white button mushroom, the Agaricus bisporus. The Japanese scientist somehow never left a trace in scientific publications and the mushroom has never been eaten in the Piedade region, where, even nowadays, it is not commonly found. In fact this mushroom was already known in the late 19th and early 20th century in the US, where it was very popular because of its excellent almond flavor and cultivated widely for the table – the almond mushroom. It was officially known as Agaricus subrufescens since 1893. After a few decades of success the white button mushroom (Agaricus bisporus) took over its place as the most popular edible mushroom. To cut a long story short, the mycologists were mixing up very similar looking mushrooms and in the end had to use DNA-profiling to put an end to all the quarrels. The mushroom that received the name ‘Agaricus blazei Murrill‘ was in fact the ‘Agaricus silvaticus Schaeffer‘. It is not a medicinal mushroom. The ‘Agaricus brasiliensis‘ (another name given to the actual medicinal mushroom in 2002) turned out to exist already (classified in 1830) and is also not a medicinal mushroom. The actual medicinal mushroom incorrectly named Agaricus blazei/Agaricus brasiliensis should in fact be called Agaricus subrufescens, the oldest taxonomical name. However, this medicinal mushroom and its derivatives are still researched, marketed and sold under the name Agaricus blazei Murrill (ABM) and Agaricus brasiliensis worldwide. Very confusing. This mushroom has mainly been studied in Japan. The main ABM based supplements and pharmaceuticals are also produced in Japan, until recently. In Japan the industry based on this medicinal mushroom is worth well over 600 million USD annually and over half a million people are consuming ABM supplements every day (2002 estimate). Right now ABM is the best selling medicinal mushroom in Japan. In the past decades cultivating has been perfected. The majority is being grown in Brazil (keeping alive the marketing story, of course) and China, but the ABM is also found more and more in Europe and the USA. This mushroom, like all Agarics (including the button-mushroom) absorbs heavy metals like cadmium and lead very easily, therefore one should always verify the levels of these toxins before purchase. Never rely on the ‘organic’ label – this label does not guarantee the product is free from heavy metals, only pesticides. And since all mushrooms accumulate heavy metals from the soil and the air, high levels are very common. Only properly tested mushrooms should be considered. Furthermore, all Agarics contain agaritine, a carcinogenic substance. However, despite the statements of some supplement producers, the chance agaritine is found in an extract of the mushroom is zero. It oxidizes very fast upon storage, and totally degrades after 48 hours in water with exposure to air. It also decomposes very fast upon cooking (up to 90% reduction) and freezing (up to 75% reduction). Since these processes are part of the standard extraction procedures it is quite clear that no agaritine will be found in extracts. Non-extracted ABM products (powdered fruitbodies, myceliated biomass) can be a different story, though. We recommend to request a Certificate of Analysis from the supplier (not to be confused with a ‘spec sheet !). Compared to the other medicinal mushrooms the ABM is a benjamin. The Japanese started researching the mushroom in the late 1960s and began isolating active components soon afterwards. No other medicinal mushroom has such a high percentage of polysaccharides – the Oriveda extracts e.g. contain between 60-70% of polysaccharides, of which over 60% are pure (1>3)(1>6)Beta-D-Glucans. These specific glucans are found in all medicinal mushrooms and according to research they are mainly responsible for the immune balancing, anti-allergic and cholesterol/blood-pressure lowering effects. They are also effective in lowering the side effects of heavy medication such as chemo and radio therapy, and might help in preventing metastasis. The development of NK cells, T cells and macrophages, to name a few, is improving. ABM also inhibits the enzyme aromatase, which is associated with the development of breast cancer. An in-depth article has just been added to our series of mushroom monographs. 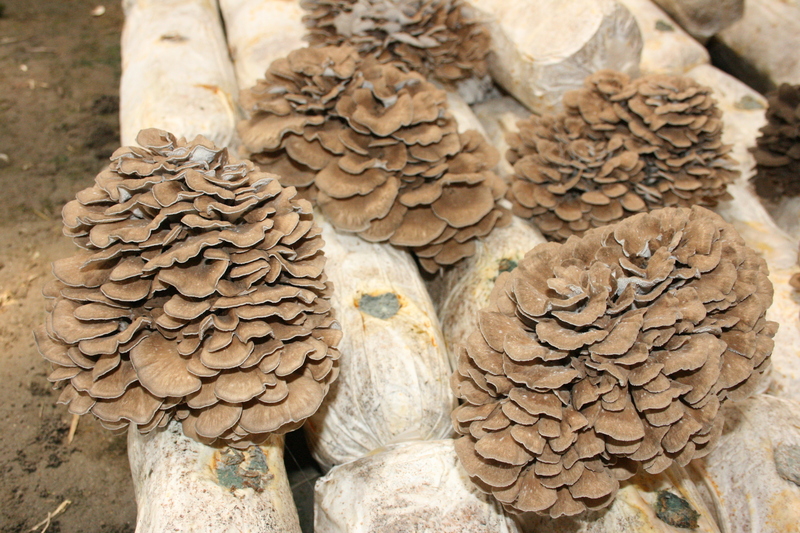 Maitake – The Facts And The Controversy – read it here. Daily intake of a Rhodiola rosea L. extract may improve various measures of mood in people with mild anxiety, says a new study from England. Data from 81 mildly anxious students indicated that 14 days of supplementation with a Rhodiola rosea extract significantly reduced self-reported anxiety and stress. Improvements in self-reported anger, confusion, and depression were also reported by the researchers. “Although Rhodiola rosea has been used traditionally to relieve a range of symptoms of stress related disorders, to our knowledge this is the first study to demonstrate the efficacy of Rhodiola rosea in the treatment of mild anxiety,” wrote Mark Cropley, Adrian Banks, and Julia Boyle from the University of Surrey in Phytotherapy Research . Cropley, Banks, and Boyle recruited 81 students with an average age of 21 to participate in their 14-day study. The participants were assigned to receive two 200 mg doses per day of the Rhodiola rosea extract or no treatment. Self-reported measures indicated that Rhodiola group demonstrated a significant reduction in self-reported anxiety and stress. Secondary endpoints, including anger, confusion and depression, also improved over the 14 day trial. Self-reported “total mood” was also significantly improved in the Rhodiola group. On the other hand, no changes to measures of cognitive function were reported by the researchers. Apart from that, the safety and tolerability of the Rhodiola rosea supplements were found to be good. 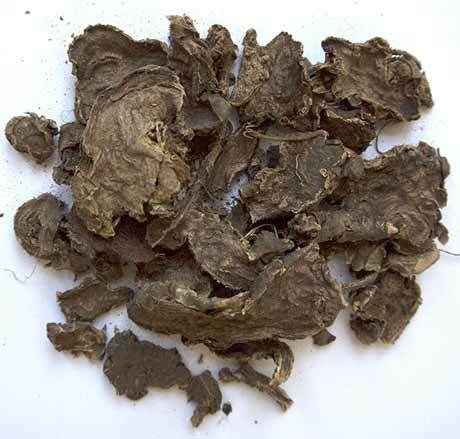 Rhodiola rosea roots are chopped into slices and then dried. These dried raw slices as sold by ORIVeDA are used to prepare a tincture. “Future research is needed to replicate the current findings, and it would be desirable to supplement the subjective nature of self-reports with more objective indices,” wrote Cropley, Banks, and Boyle. “Clinical interviews could be used to assess mood, and sleep could be assessed via wrist actigraphy or EEG. An extensive review of Rhodiola rosea with an emphasis on human trials can be found here. Daily supplements of purified Shilajit, an Ayurvedic ingredient, may boost testosterone levels in healthy men by 20%, says a new study. Shilajit, a herbo-mineral exudate, is derived from mountainous regions across Asia. It is also called mumijo. Ninety days of supplementation with purified Shilajit were associated with a 20% increase in total testosterone and a 19% increase in free testosterone levels, according to findings published in Andrologia . Sidney Stohs, PhD, Dean Emeritus at the Creighton University Medical Center in Nebraska, reviewed the scientific literature around Shilajit in 2014 in Phytotherapy Research (Vol. 28, pp. 475-9), and noted that: “The physiological and pharmacological effects of shilajit are attributed to the [dibenzo-alpha-pyrones] DBPs, DBP chromoproteins (DBPs conjugated to proteins), fulvic acid, and various polymeric forms of fulvic acid. “In spite of the use of shilajit (mumijo, mumie) for many years, relatively few peer-reviewed, human, controlled, and published research studies have been conducted,” noted Dr Stohs. “Studies in both animals and humans indicate that the use of shilajit is safe and generally free of adverse effects. Published human and animal studies have indicated that shilajit increases spermatogenesis in infertile males. A human study demonstrated that shilajit when given at high (2000 mg/day) doses has beneficial effects with respect to blood lipids. The researchers recruited 75 healthy men aged between 45 and 55 to participate in their randomized, double blind, placebo-controlled study. The men were randomly assigned to receive either placebo or 500 mg of Shilajit per day for 90 days. The Shilajit was standardised to contain not less than 60% w/w of total bioactives, which include not less than 50% w/w of fulvic acids, not less than 0.3% w/w of dibenzo-alpha pyrones (DBPs) and not less than 10% w/w of dibenzo-alpha pyrone chromoproteins (DCPs). Results showed that supplementation with this Shilajit lead to a 20% increase in total testosterone levels and a 19% increase in free testosterone levels after 90 days. “The significant betterment of DHEAs [the main precursor of testosterone] with the treatment of purified Shilajit signifies its role on testosterone synthesis,” they wrote. “Other two gonadotropic hormones, viz. luteinising hormone (LH) and follicle-stimulating hormone (FSH)], were studied in this present work, to rationalize the hypothalamo-pituitary–testicular axis, where both of these hormones were in maintained levels indicating their initial role of triggering of testosterone production. This was followed by downregulation of LH and FSH on one hand and maintenance of the hypothalamo-pituitary–testicular axis by means of elevated level of testosterone on 30, 60 and 90 days on the other hand. 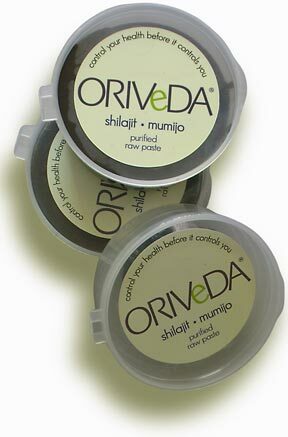 ORIVeDA is selling purified natural Shilajit•Mumijo resin in 25 grams containers. The fulvic acid content is 11-12%. This product is unique because it has been authenticated by a patented process and meets the requirements of the Russian Pharmacopeia for pure Mumijo and the GOST standards (equal to GMP) for safety and quality. While the sexual health market has received a lot of attention from the regulators, it is not the only category to have suffered from criticism, said Dr Kalidindi. 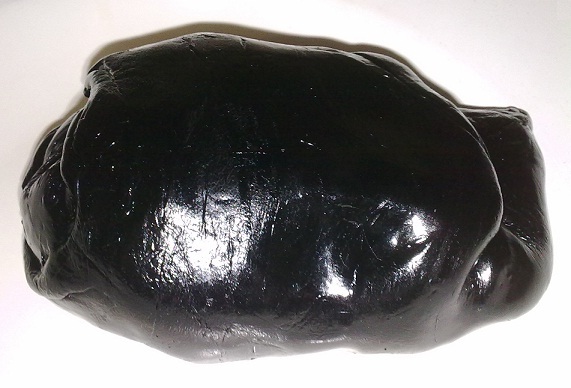 More details about Shilajit, its history, background and a comparison of 25 commercially available Shilajit resins (including authenticity, quality/safety control and active ingredients) can be found here.